My summer break was great – thanks for asking. But there’s been a whole load of whisky news since I’ve been away. So, let’s dive right in! 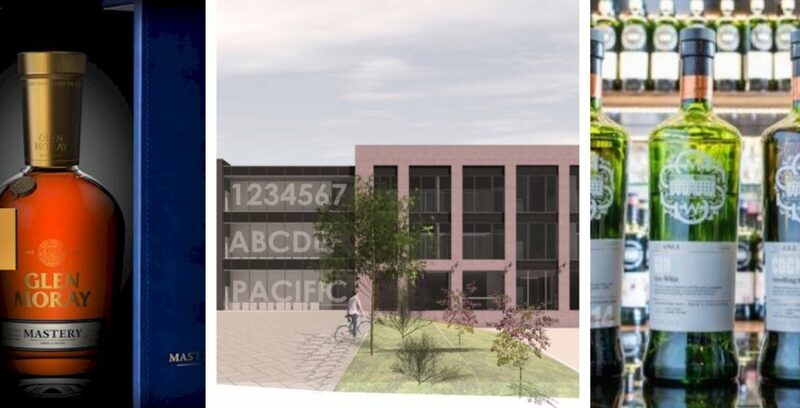 Douglas Laing & Co has announced plans to build a £10 million distillery, visitor centre and restaurant on the banks of the River Clyde (The Scotsman). Glenallachie Distillery in Speyside has been sold by Chivas Brothers to a consortium headed by former BenRiach MD, Billy Walker (Scotch Whisky). Darnley’s has brought its production back to Scotland with the opening of its new gin distillery in Fife (The Drinks Report). Holyrood Distillery has unveiled its top team including distiller Jack Mayo (The Herald). And Raasay Distillery has appointed its head distillery, Iain Robertson (Business Insider). More than 400,000 people visited Diageo’s 12 distillery visitor centres in the 12 months to June (The National). The company has also described the performance of its Scotch whisky business as “strong and stable” after announcing a surge in pre-tax profits (The Herald). Inver House Distillers sees single malt whisky sales up marginally but gin sales are up 38% (Insider). Bunnahabhain Distillery on Islay has unveiled plans for an £11 million renovation, along with its oldest ever expression (The Spirits Business). Rare Whisky 101 has launched a bespoke brokerage scheme for ‘dormant’ casks that could be worth more than £1 million each (The Spirits Business). Figures from the company also show that the 21,617 bottles of whisky sold at auction between April and June this year fetched £6.2 million (The Scotsman). Perth-based company the Whisky Auctioneer has also had to move to a larger warehouse after experiencing a surge in demand (Business Insider). The Scottish Government has called for Scotch to be defined in UK law to protect exports after Brexit (BBC News). The Scotch whisky industry’s attempts to overturn the Scottish Government’s legislation on minimum pricing has returned to the Supreme Court (The Guardian). The Scotch Malt Whisky Society has launched a series of Single Cask Spirits, including rum, gin and cognac (Imbibe). Celtic Renewables becomes the first company to successfully fuel a car using whisky (The Telegraph).